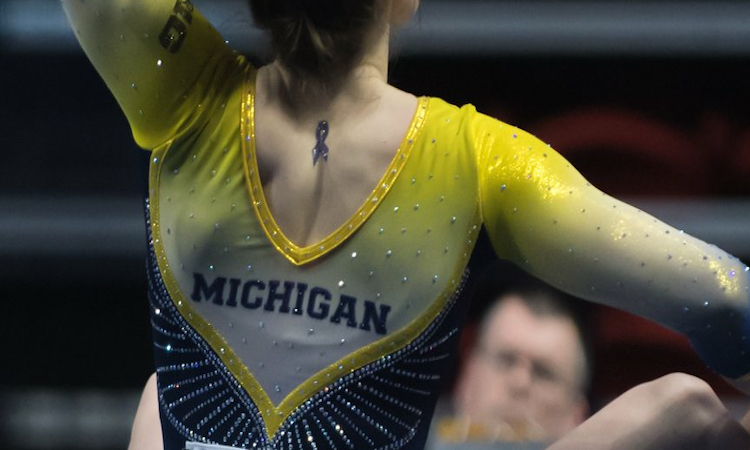 Michigan gymnastics assistant coach Scott Vetere was arrested by Ann Arbor Police for indecent or obscene conduct in public-disorderly on October 8. He has since been removed from the coaching staff on the Michigan roster. The Ann Arbor Code of Ordinances does not strictly define indecent or obscene conduct, a misdemeanor. Sophomore Sydney Townsend was arrested on the same charge on the 8th by the same officer. She remains on the Michigan roster. Vetere will appear in Michigan’s 15th District Court on November 15 for a pre-trial hearing. Townsend is scheduled to appear November 5 for arraignment and a pre-trial hearing. The Michigan athletic department offered the following statement: “Mr. Vetere was immediately suspended the day we learned about the incident [October 10]. He resigned from his position October 15 during the disciplinary review process.” Michigan cannot comment on Townsend due to FERPA. This story will continue to be updated as new information becomes available.